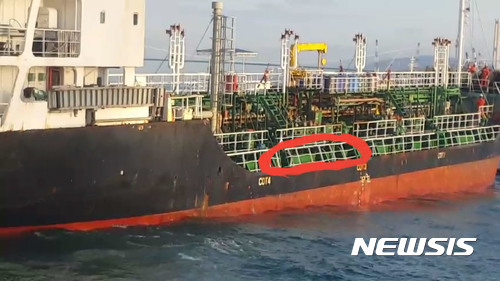 On October 2, the 166 meter long, 155334 dwt container ship Victoria Trader collided with an 1435 dwt chemical tanker near Ulsan, South Korea. The two vessels had bumped resulting in minor dents on the starboard side of the tanker and port side of the boxship. No reports of injuries or pollution released. Korean authorities dispatched investigators to the vessels. Reports state alcohol was not a factor in the collision. Both vessels proceeded to Ulsan for further investigation into the incident. The name of the tanker was not disclosed in the news reports.